"Water W﻿ell - ​a private utility "
Your gift will make a difference and help people who are receiving spiritual water, Jesus, and need fresh physical water. 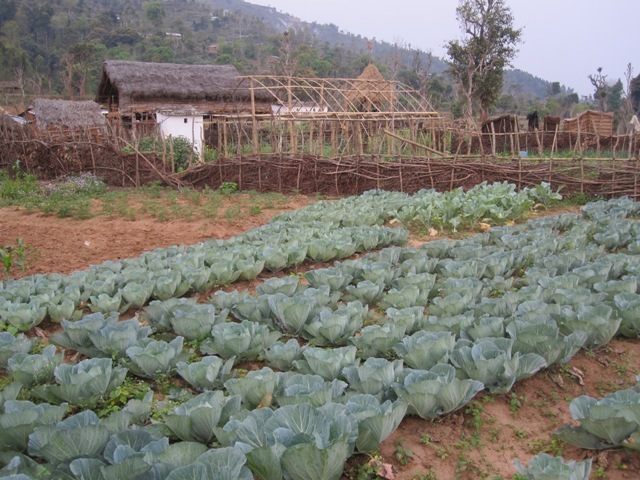 Growing vegetables is possible when a reliable water supply is available. The World Health Organization reports more than half of the wells given to countries across Africa do not work. These are simple mechanical devices. It takes very little to maintain them, we show them how to maintain a successful well as a ministry utility. When the first discussions about the possibility of new fresh water wells being offered by our Charity arose, we looked at the prospect of doing this in Africa. Your gifts have helped local ministries place two dozen fresh water wells and water systems in remote villages, orphanages, mission headquarters and churches in five countries. 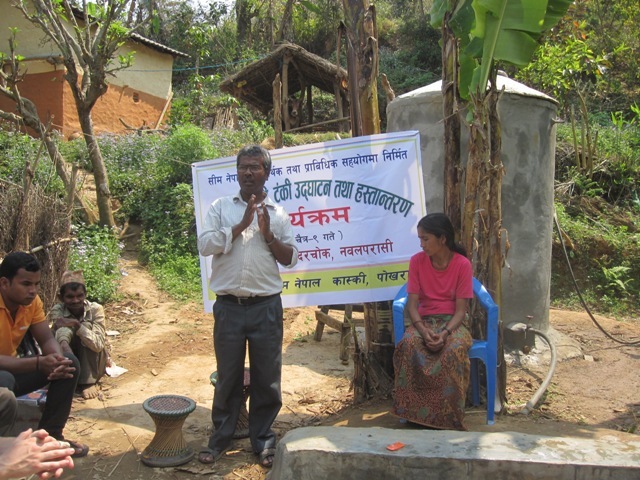 Dedication in NEPAL by a village church of a well, storage tank and distribution system.